To celebrate the one-year anniversary of our Head of Production, Tom Brookes. We thought we’d ask a few questions about how he has found working here for the past year and what he has planned for the future. Tom was a Research Project Manager, exploring and communicating emerging technologies in Europe before he jumped on the Generator rollercoaster ride. His creativity, positive attitude and passion for visuals made him a perfect fit. 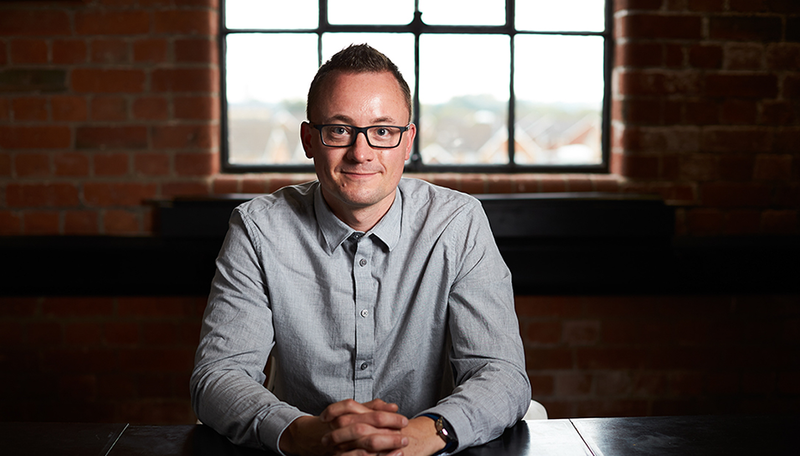 Tom likes to please the customer, maximizing inclusion and team communications, whilst innovating and disrupting processes and products a like for the maximum impact in results. 1) What is the biggest change you’ve seen in the company over the last year? Generator is innovating all the time and has changed a lot over the last year, with me in the middle. We are constantly looking at outside influences and impressive examples of compelling design, sales psychology and visualization that triggers emotion and action. We now don’t say “no, not possible”, but instead “OK, let’s look at what we can do to make that happen”. Our product and client systems have impressively progressed both visually and in actual performance (including complexity, smartness and reduced loading times) through a new mantra of striving to be better, simpler and impactful. Each system has noticeable improvements, learning and something new for each and every client. 2) What is the biggest challenge you have faced in the last year and why? We are more disruptive and busy than ever before. We have a record number of live clients to support and have had a busy, challenging but fun year in regards to new systems also. Production schedules and resourcing is always a challenge but we are constantly learning, improving and innovating – much like our products and systems. Personally, I am trying to evolve and challenge/improve specific market tastes and design styles to become more modern, experience-driven and visually impressive (as opposed to simplistic and safe) and so there can be some resistance to these new, innovative styles and approaches. Having said that, through the provision of options and early design style management engagement, we always get to a point of “wow” with our clients, however many cooks there are throughout the process. 3) What is your favorite part about your job? What excites you most? Quite simply, I love my job. I gelled with Steve instantly and I love that my team cares, craves excellence and is now open to change. I yearn to hear a happy customer, and positive client feedback and user receptions make it all worthwhile. Hearing about the successes in sales or performance with our software, time after time, is lovely for re-confirming how valuable our solutions are. Seeing a good idea well-executed and then received positively as impactful is what it is all about. 4) How does the timeshare industry compare to other industries you have worked in? Every business sector has positives and opportunities and timeshare is no different. Timeshare and vacation ownership is very sociable, traditional and it all boils down to service, results and impact. I love that our clients are so passionate about their brands, products, services and their 5-star resorts are truly beautiful – and the perfect subject for content-driven presentations. I believe there is a new generation of seller and buyer emerging and this is perfect for maximizing the use of technology and great software applications. We also love that our product helps to cover all elements of ownership transparently and in a professional, uniformed way. All of our clients are visionaries, trustworthy and respectable leaders in what they do. They have a great story to tell and fantastic memberships. 5) Have you got any exciting projects on the horizon which you can share with us? Tying in nicely with the LIGHT re-brand, we are looking into new coding platforms for 2018, as well as approaches for us to design and build different types of presentation and content systems. We are focusing on opening up our systems for inclusive editing, configuration and shared control. I would love if we could utilize emerging technology to push more experience-driven project implementations, as well as things like responsive design and more customization/personalization. 6) Summarize what it’s like working for Light in 5 words. Challenging, Rewarding, Impactful, Creative and Addictive.